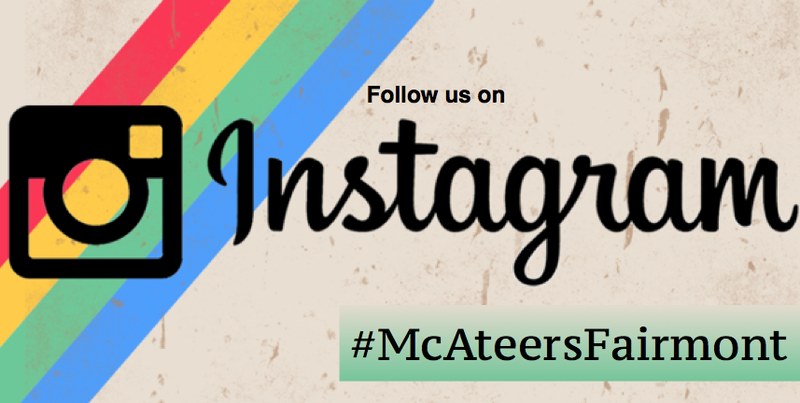 Watch the video from 1963-64, of McAteer's Restaurant shot by our family on 16 millimeter film and recently discovered. Check out the vintage cars out front and Locust Avenue still busy. Pretty cool find and happy to share with you and yours. Thank you to all of Fairmont WV, our family and friends, we couldn't have done it without you. 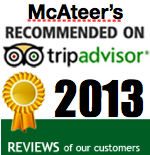 Happy to serve everyone since 1958 and still going strong.! There's a tradition in Fairmont that has been celebrated for over 15 years. 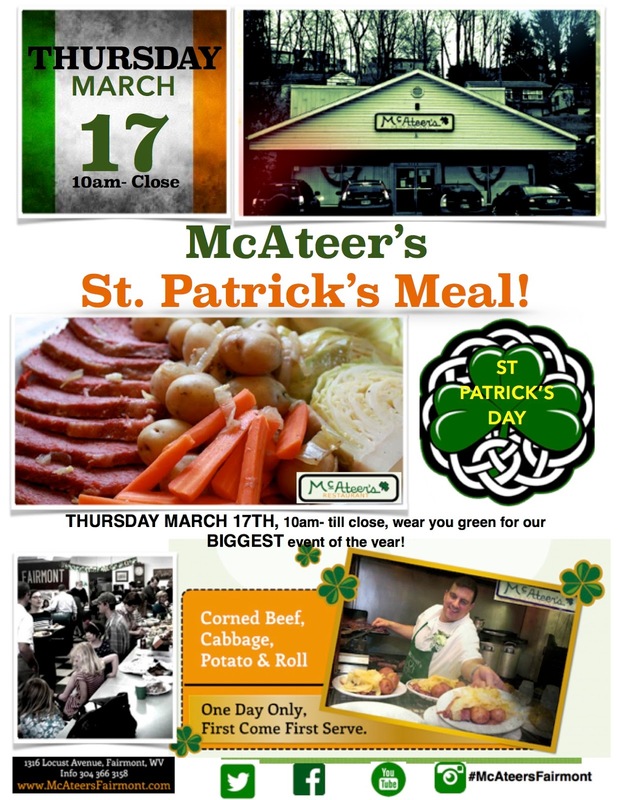 On St. Patrick's Day, locals in Marion County head over to McAteer's, where an Irish rooted family prepares a good Irish meal. One thing you won't find on today's menu is different meal options. This can be a positive for locals who are indecisive when ordering food and negative for those who like different meal options. No matter the dispute, the sign is clear outside the door, stating that there is only one meal offered on St. Patrick's Day. "This is a traditional Irish meal. It is corn beef, cabbage, red potatoes and a hard roll. 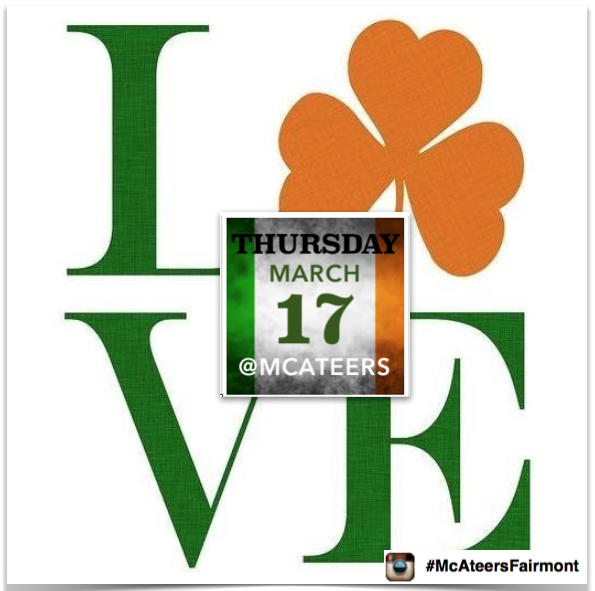 In our heritage, I am Irish and our family always had it on St. Patty's Day and I thought we should have it here at the restaurant," said restaurant owner, Tim McAteer. 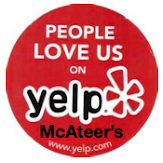 McAteer's Restaurant was serving people from 10:00 a.m. to 3:00 p.m. Tuesday.